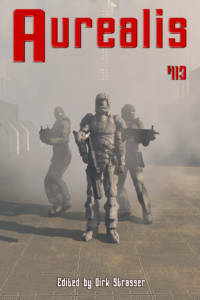 Aurealis #113 rolls out some red-hot fiction with the raw and confronting ‘Hair and Teeth’ from Deborah Sheldon, the future noir visions of Brad McNaughton in his ‘Wormholes and the Woman with the Fake Tan’, plus the cool brutality of Matt R O’Connor’s ‘Bits’. Our non-fiction hits the heights, too, with Claire Fitzpatrick’s ‘Universal Monsters and the New Age of Fear’ and the second part of Chris Large’s insightful interview with Fantasy legend, Raymond E Feist. And to top it off we have stunning artwork and a constellation of reviews of the latest speculative fiction. If you’re into science fiction, fantasy or horror, it doesn’t get much better than Aurealis. Deborah Sheldon's fiction has been shortlisted for numerous Aurealis and Australian Shadows Awards, long-listed for a Bram Stoker Award, and included in ‘best of’ anthologies. 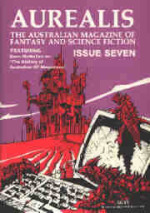 Brad McNaughton is an Adelaide writer of Aussie speculative fiction and mysteries, whose biggest influences include Pratchett, Conan Doyle, Micallef and Mitchell Hurwitz. Matt O’Connor was born and raised in New York City but please don’t call him American—he’s a New Yorker first and foremost. His short fiction has appeared in print and online for various publications, most notably The First Line and The New York Times. Claire Fitzpatrick is a journalist, editor, and author of speculative fiction. Three of her Aurealis articles were nominated for the 2016 Aurealis Convenors Award for Excellence. Chris' work has appeared in Aurealis and ASIM, and in anthologies published by Ticonderoga Publications, Dark Prints Press and CSFG Publishing. I was on a panel at Speculate, the Speculative Writers Festival, earlier this year ambitiously titled ‘Science Fiction: The Past, the Present, and What’s to Come’. I was charged with presenting a 10-minute introduction to the present trends in science fiction. It proved quite a challenge to wrestle the vast amorphous mass that is the science fiction currently being written into some recognisable pattern. The days have long gone when a single person could read even a sizeable percentage of all the science fiction produced in a calendar year. And making the task even more difficult was the fact that trends are usually only clear in retrospect. Nevertheless I gave it a go. 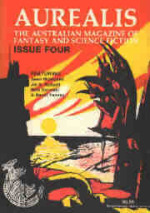 Because of the panel’s specific focus and the nature of the festival audience—and to try to make the task slightly more manageable—I concentrated specifically on what could be fairly unambiguously defined as science fiction as opposed to fantasy, on the written word rather than movies and television series, and on novels rather than short stories. Since the festival was aimed at writers of speculative fiction, I looked for patterns in what was big in the science fiction of today—what was hitting the bestsellers lists and what was winning awards. So what big trends did I uncover? There were four. The first was Climate Fiction, that is, fiction that deals with climate change, often in a post-apocalyptic or dystopian future. The interesting thing about cli-fi, to use the slightly dismissive abbreviation commonly used, is that it is taken seriously by the mainstream. The literary establishment has embraced it, and it gets reviewed in the mainstream press. People base their PhDs on it. It has status as ‘literature’ and isn’t dismissed the way a lot of science fiction still is. While the literary establishment has recently discovered cli-fi and bestowed a sense of worthiness on it, Climate Fiction has, of course, been around for some time as part of the science fiction landscape. 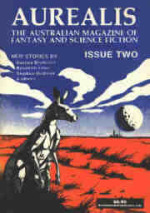 Australian author George Turner wrote the quintessential cli-fi novel well before it was a recognised subgenre of science fiction. His The Sea and Summer (The Drowning Towers in the US) was set in a world where global warming had resulted in a Melbourne landscape that was largely underwater. It was published in 1987 and won the Arthur C Clarke Award and was nominated for a Nebula. Climate Fiction is making an impact in the major SF awards. Out of the six Hugo Finalists for Best Novel this year, two are clearly cli-fi: New York 2140, by Kim Stanley Robinson and The Stone Sky, by N K Jemisin (technically science fantasy). Other major Climate Fiction novels in recent years include Margaret Atwood’s Maddaddam and Paolo Bacigalupi’s The Water Knife. Three recent Aurealis Awards Finalists also fall into the category: Clade by James Bradley, Lotus Blue by Cat Sparks, and Daniel Findlay’s Year of the Orphan. The New Space Opera is still fun on a grand scale, set in space, exciting, fast-paced, but it’s also usually more scientifically rigorous, more literary, has more emphasis on character development, and addresses social issues of race, gender, class and postcolonialism. 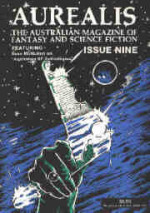 The term was coined in the 2007 anthology The New Space Opera edited by Gardner Dozois and Australia’s Jonathan Strahan. Notable novels that fall into this subgenre are Ann Leckie’s Ancillary Justice winner of the 2014 Hugo Best Novel, Kameron Hurley’s The Stars Are Legion, Yoon Ha Lee’s The Raven Stratagem, a Best Novel Finalist in this year’s Hugo’s, and The Expanse series by James S A Corey. The New Space Opera has also been invading Young Adult books with such novels as Illuminae by Amie Kaufman and Jay Kristoff, the 2015 Aurealis Award Best SF novel winner. The third trend I identified was Generation Ship Fiction which focuses on sub-lightspeed starships that take several human generations to arrive at their destination, where the original occupants grow old and die, leaving their descendants to continue travelling. Unlike works relying on faster-than-light (FTL) travel, this subgenre is based on the more rigorous extrapolation of current science where FTL speed is impossible. The closed environment of a generation ship has proven to be a particularly versatile story vehicle, allowing powerful explorations, ranging from sustainability-based dilemmas and breakdowns in social structures to murder mysteries. Recent examples include Aurora by Kim Stanley Robinson, Neal Stephenson’s SevenEves, and Six Wakes by Mur Lafferty, a 2018 Hugo Best Novel Finalist. Gender-focused Science Fiction was the fourth trend I found. These works deal with gender identity and involve depictions of single gender or genderless societies. Like all the other trends, it’s not new, but it has become increasingly prominent in recent times. It’s a trend that is often combined with one of the other three trends. The obvious precursor is the multi-award winning The Left Hand of Darkness by Ursula K Le Guin, published in 1969. Two New Space Opera novels I’ve already mentioned clearly also fall into this subgenre: Kameron Hurley’s The Stars Are Legion and Ann Leckie’s Ancillary Justice. Recent Australian Gender-focused Science Fiction has included From the Wreck by Jane Rawson, which won the 2017 Aurealis Awards for Best SF Novel and An Uncertain Grace by Krissy Kneen, which was an Aurealis Awards Finalist in the same year. Of course, for writers, identifying trends isn’t much more than the first step. The crucial question is to what extent (if at all) should a writer take these trends into account. That’s something to explore from another cloud. Blood. So much blood. It runs out of Elaine’s body for weeks at a time, soaking through sanitary pads at a rate she has never experienced before in her life. Some days—on bad days—she can sit on the toilet and listen to her menstrual blood hit the water in a steady drizzle, plip-plip-plip. She is constantly light-headed, woozy, ready to drop. Tomorrow Technologies, a black building nestled among the rest of the glassy skyscrapers of downtown Sydney. Charred, fenced off and abandoned. The kind of building only noticed when you look directly at it, and no-one was looking. I must’ve been a dozen times before I noticed her. Hair stained purple by the hololamps, red lips flared, mouth like a fresh knife wound. Novelists Mary Shelley, Bram Stoker, H G Wells, and Gaston Leroux may have been the creators of nightmarish creatures such as Dr Frankenstein and Frankenstein’s monster, Dracula, the Invisible Man, and the Phantom of the Opera, but the Universal Studios horror boom from the 1930s turned these characters into bona fide icons, inspiring a new generation of monster horror films such as The Mummy (2017), Dracula (1992) and Alien (1979). In my universe there are four kinds of opinions. You have the type of opinion that everyone has. Then you have considered opinion—i.e., you think before you open your mouth. You’ve got informed opinion, which means you’ve done some research and you think you have some facts to back up what you’re saying. The last is expert opinion, and I said in an article I once wrote that unless someone is willing to pay you $400 an hour to testify in court, you’re not an expert.